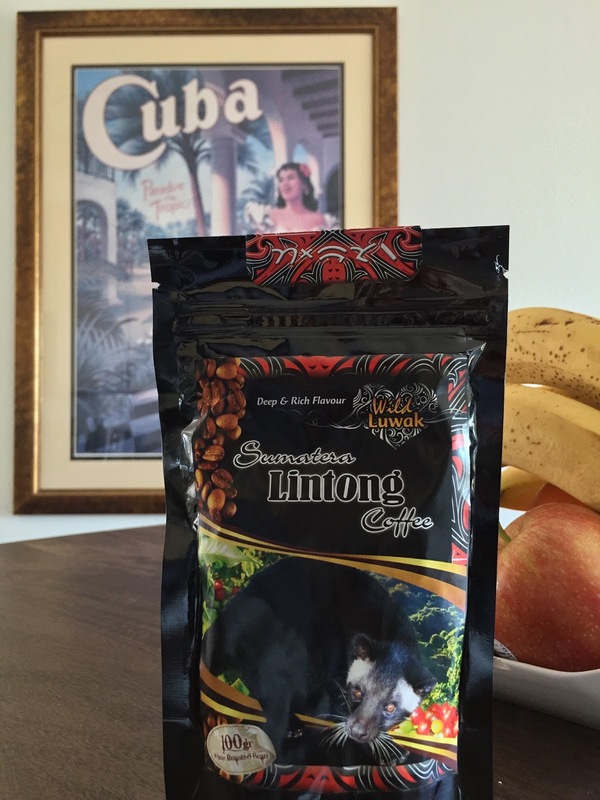 The world's most exotic coffee, Kopi Luwak aka civet. Two years ago, today, I took a trip to Jones Coffee Roasters in Pasadena to try the world's most exotic coffee, called kopi luwak, after seeing it on TV. It turned out that Jones' doesn't actually sell it. Since then, I've been keeping my eye out for an opportunity to try it. 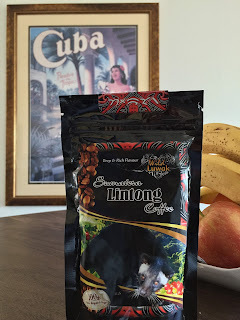 A few days ago, I bought some kopi luwak coffee beans, also known as civet coffee. I called on a friend, Isaac, who is a coffee aficionado, to prepare it for me. He had never tried it and he didn't have high expectations for it; he felt is was overpriced, much like Kona coffee. Kona coffee is expensive because it's the only coffee grown in the US. Kona workers are paid much higher wages than workers in developing countries, where most coffee comes from. Civet coffee isn't expensive because it's so tastily, rather it's expensive because of the bean preparation process. I brought the beans over to Isaac's home. He was pleasantly surprised when he opened the bag and saw that the beans were a slightly roasted to a light brown color instead of black. A lighter roasted coffee bean tends to retain more flavor and more caffeine (by volume). 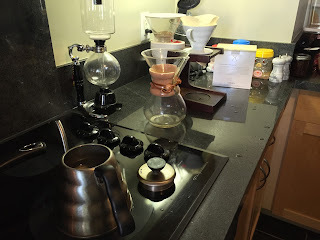 Isaac weighed out 35 grams of beans, ground them up, placed them in a paper filter in a ceramic V60 coffee dripper, and poured hot water through the ground beans, while agitating them, as the coffee drained into his Chemex coffee maker. 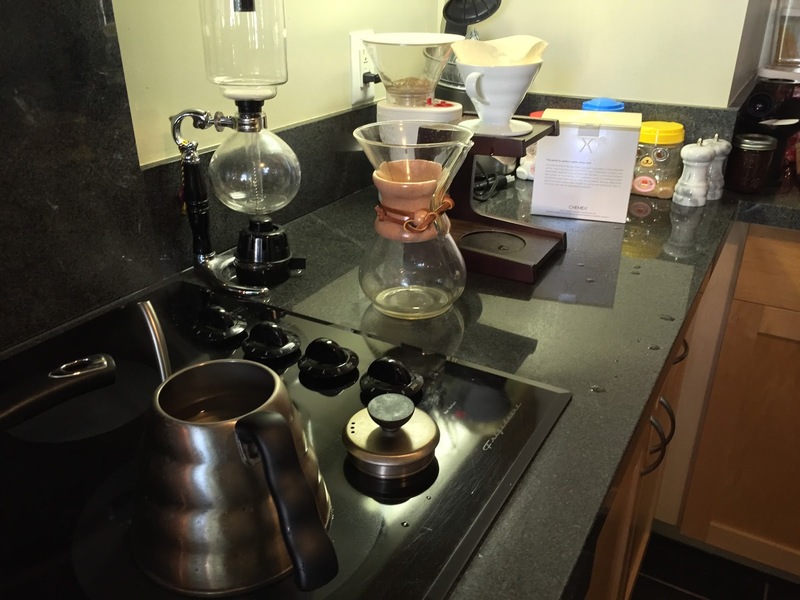 Tools of the trade, including a "Breaking Bad" vacuum siphon. We sampled the civet coffee without adding any cream or sweater. The only thing we did, to enhance the flavor, was lick a little butter before sipping the coffee. Isaac said that the fat in butter helps brings out a coffee's flavor in the same way that strawberries bring out the flavor in champagne. That's the reason why coffee goes so well with donuts. I thought the coffee was tasty. Isaac's final verdict was, "The quality of coffee we tasted is good, professional grade. But you can get the same quality for 1/10th of the price." If you've reached this point without understanding what makes kopi luwak so exotic, then you probably shouldn't ask. But, if you really must know.